While targeting searchers or adjusting your bids based on age, gender, and parental status can be extremely useful, some advertisers—particularly those with high-end products or services—require a bit more nuance. This is where the household income targeting option in Google Ads (formerly Google AdWords) comes in. Household income is one of four demographic categories advertisers can use to augment bids, target, or exclude specific audiences on the Search Network, Display network, and YouTube. Income targeting can be used by itself or in concert with other demographic targeting options to make your campaigns as granular (and effective) as possible. Why Use Household Income Targeting? Let’s say you (or your client) sells high-end financial services to affluent individuals in the Greater Boston area. Obviously, you’re going to use location-based targeting to ensure that your ads aren’t served to people living in Montana searching for wealth management. That’s no enough, though. You see, keywords in this vertical are prohibitively expensive. Target the top 10% of households in high-value, high-cost campaigns to ensure that top-converting keywords with high commercial intent receive a large chunk of your overall budget. Exclude low-income households from all campaigns. Adjust bids within top of funnel search campaigns to concentrate budget on high-income searchers without dampening search volume. ...All of which will serve to maximize the value of your ad spend. While the example above focuses on lead generation for a service, you can use the same strategy if you sell luxury products. You could also reverse this tactic entirely, eliminating high-income searchers if your primary unique sales proposition is deeply discounted goods. Given enough account information, businesses in every vertical can benefit from the use of household income targeting for bid adjustment; if your business works explicitly with high- or low-income clients, you can focus all your ad budget on the right income demographic. It’s an extremely versatile tool. What Is Household Income Targeting in Google Ads? Now, it’s important to note that the “Unknown” group will always end up being the largest. This is because, while Google’s data is far-reaching, they don’t know everything about everyone (yet). Additionally, some sites on the Display network opt out of demographic targeting. As such, there are a number of searchers for whom Google has no way to identify age, gender, parental status, or household income (why isn’t location on this list, you might ask? Because location isn’t determined based on a searcher’s profile or browsing history but, rather, where their device is at the time a search is conducted). Unless you’re working with sizeable audiences and really expensive keywords, don’t exclude the “Unknown.” Doing so will weed out valuable prospects, and nobody wants to do that! How Does Google Determine Household Income? When a prospect signs in, Google uses demographic information synthesized from account information, activity on Google properties, and third party data source from social networking sites to determine that account’s characteristics (you can view or change your ads settings here). In the old AdWords UI, household income targeting was added to a campaign via an advanced features menu buried within the location targeting interface (if you’re using the old interface, this article on underused AdWords features contains detailed instructions for implementing income targeting). As part of the new Google Ads experience, however, income targeting is front and center. From here, choose your desired ad group or add your household income targeting at the campaign level (if you’re making broad bid adjustments or totally excluding an audience, we recommend doing so at the ad group level. This will ensure that you don’t accidentally eliminate too many impressions). Beneath the demographic options you’ll notice a customizable graph like the one you see above. Make sure that you adjust the metrics plotted on the graph to reflect performance indicators you care about (if you’ve got a limited budget, there’s no sense in increasing bids by 100% for top-earning households because you noticed unreal engagement rates). 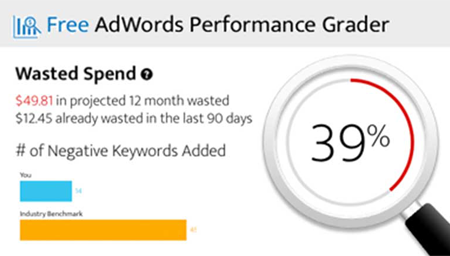 For most advertisers, this will mean observing conversions and/or conversion rates. Note that you can combine demographics to create a hyper-granular campaign. If you do this, I suggest duplicating your campaign. In version A, exclude demographics to create your desired audience; in version b, only exclude the demographics active in version a. This will save you from yourself, allowing you to capture less qualified traffic at a lower cost and hone your ad copy to speak to the income level, age group, and gender of your perfect prospects. And that’s it! Now that you’ve got a thorough understanding of what income targeting is and how it works, you can effectively implement household income targeting (and any other demographic targeting, for that matter) in your Google ads account.